Conclude the traditional road cycling season with a classic ride under rural Pennsylvania’s iconic fall foliage organized by Kermesse Sport. While the morning may feature cool crisp air, you’ll quickly warm-up as you tackle the hills of Montgomery County. Read the 2015 ride report. Pennsylvania is an area rich in German heritage. The landscape and terrain is similar to many areas of Germany, and our culture has been heavily influenced by it, as evidenced by the names of many communities throughout the state. We enjoy our outdoors (Pennsylvania means Penn’s Woods), we enjoy our food, and who doesn’t like a party? 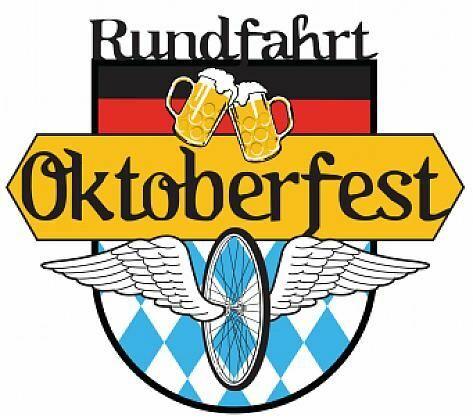 In this spirit we have created a celebration of the end of the traditional road cycling season with an Oktoberfest theme. The ups and downs arrive quickly following the departure from Collegeville, and don’t end until you get back. Along the way there are 2 – 3 major climbs that will be used for the Strava based KOM/QOM challenge; Old Church/Church Rd. in Upper Salford (both courses), Eichele Rd outside of Green Lane Park (Standard Course Only) and Knockel Rd. in Marlborough Township (both courses). These climbs comprised the heart of the KOM competition at the Univest Grand Prix. The course will be marked to the highest standards. Cue sheets and links to GPS files will be emailed to all pre-registered participants a few days before the event. Upon your return you will arrive just in time for lunch and festivities at the Appalachian Brewing Company in Collegeville, PA, where you can not only reward yourself for a great ride, but for a fantastic season of riding. And yes, we know the real Oktoberfest is mostly in September and the Oktoberfest Ride is in late October. The Oktoberfest Ride features a Mass Start, so everyone starts together, regardless of the course you are riding. As the event is not a start-to-finish race, it doesn’t matter what your starting position is. Registration is $60 before May 1, then $70 and after October 1 $80.